NCBIO members talked with legislators about the growth in the industry and its economic impact on the State at the annual event. The new Legislative Life Science Caucus Co-Chairs attended the session. Co-Chair Sen. Paul Newton (R-Cabarrus & Union) talked with NCBIO members from his district. 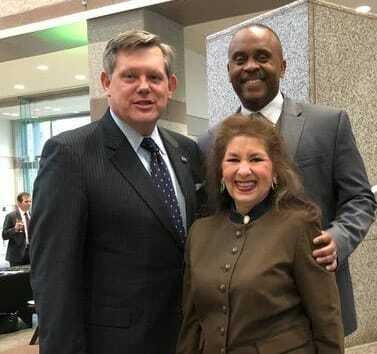 Co-Chairs Rep. Donna McDowell White (R-Johnston), Sen. Mike Woodard (D-Durham, Granville & Person) and Rep. Robert Reives (Chatham & Durham) gathered for a group photo. The growth in North Carolina's biomanufacturing sector and the need for more employees and training was the topic for the March BMF meeting. 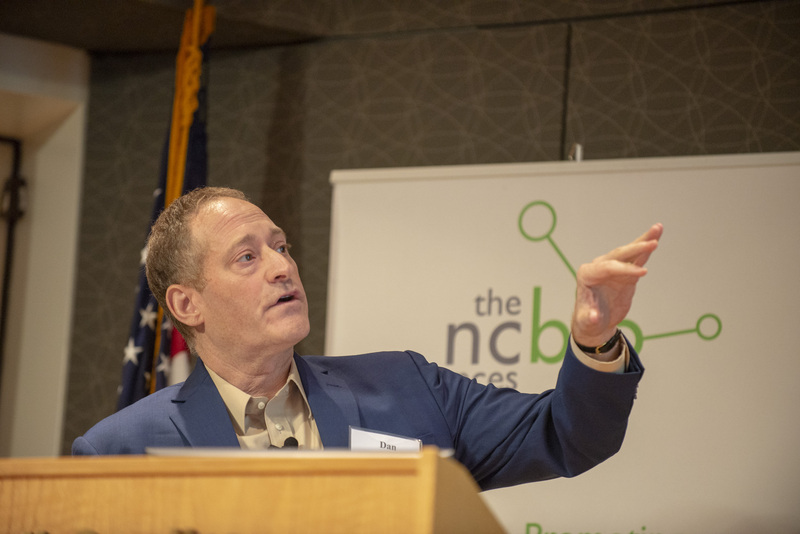 John Balchunas of the National Institute for Innovation in Manufacturing of Biopharmaceuticals (NIIMBL) talked about assessments under way by the organization. Bill Bullock and Laura Rowley with the North Carolina Biotechnology Center discussed growth by the industry and the ​Window on the Workplace Survey being conducted by the Center and NCBIO. 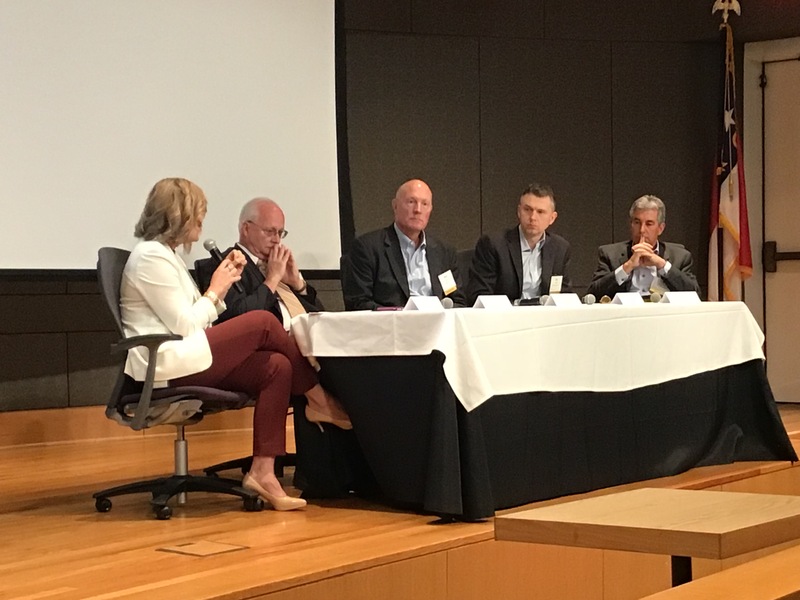 The opportunities, the challenges and the financing of gene therapies and other innovative cell technologies were topics at the recent NCBIO Life Science Forum. Four panelists outlined plans by their companies in developing treatments for patients. Thanks to Aperio Clinical Outcomes, BIO, Hughes Pittman & Gupton, and Smith Anderson for sponsoring the event. Replacing an employee costs employers 33% of worker's annual salary if that employee leaves. The life science industry in the RTP area is projected to grow 6.6% from 2017-2019 compared to national average of 3.7%. Demand for talent continues to grow. Stephen Williams and Joe Bastine of Aerotek and Cindy Hammond of Qualified Staffing outlined some steps companies can take to recruit and retain employees. NCBIO and NC Biotechnology Center are conducting a Window on Workplace survey to find out more about growth and needs of employers. Contact Brenda Summers for more information. 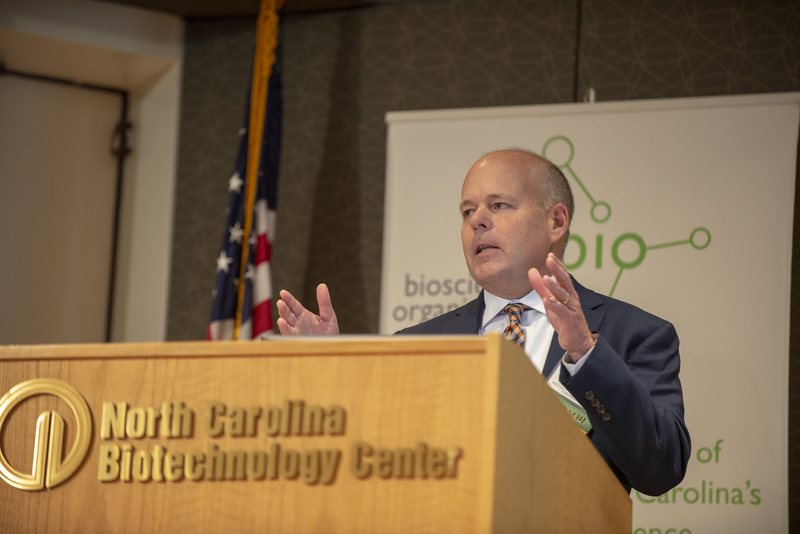 Trends in the life science industry was the focus of the NCBIO Annual Meeting. Richard Staub, President, Research & Development Solutions, Global Business Unit, IQVIA talked with members about the "State of the Industry." Dan Levy, Medicine Team Leader, Gene Therapy & Kidney Disease, Pfizer, talked about the "Future of the BioPharma Industry." 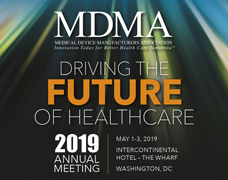 Anna Abram, Deputy Commissioner for Policy, Planning, Legislation and Analysis, U.S. Food & Drug Administration, focused on "FDA Policies and Perspectives." Panel discussions focused on "The Big Data Econsystem & Its Uses," and "Precision-Based Innovation." "Talent in the State: Recruitment and Retention" was the topic of the Annual Meeting Dinner. 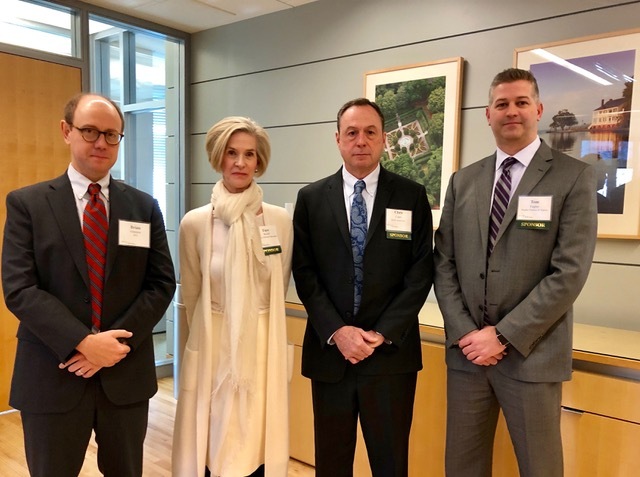 Russ Read of National Center for the Biotechnology Workforce moderated the panel with Leigh Ann Stradford of Bioventus, Sholeh Ehdaivand of LMK Clinical Research Consulting, Blake Derrick of Seqirus, and Mike Wanner of Medicago. Thanks to GSK (Maeve Gardner), Frankel Staffing Partners (Rod Frankel), VWR (Jason Kempton) and PPD (Mike Porter) for sponsoring the dinner. Members of the Legislative Life Science Caucus talked with NCBIO members at a Luncheon and Forum August 28th. The group consistently mentioned the sector’s two-fold benefit to North Carolina – good jobs and better health. The Caucus is composed of members from both political parties, as well as from the General Assembly’s two chambers, the House and Senate. Senate Co-Chair Tamara Barringer (R-Wake) said interest in the life science sector and the Caucus had resonated with members as a result of the tours to companies in different parts of the State. She noted the bi-partisan collaboration of the Caucus and the participation from lawmakers in the urban and rural areas. Senator Mike Woodard (D-Durham) suggested that the Caucus may look at developing a Life Science bill each session as the Legislative Agriculture Caucus has done each year in drafting a Farm Bill. The lawmakers also discussed addressing wastewater issues to ensure that companies keep coming to the State. NCBIO thanks event sponsors Jenkins, Wilson Taylor & Hunt and PhRMA for sponsoring the event. Companies looking to move into or obtain new lab space need to expect it will take six months or longer to move into the space. Panels said uplifting the space, permitting and other issues require time in obtaining lab space. 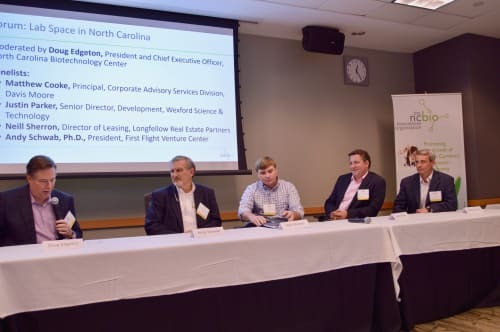 Doug Edgeton, CEO of the NC Biotechnology Center, moderate the panel with Matthew Cooke (Davis Moore Capital), Justin Parker (Wexford Science & Technology), Neill Sherron (Longfellow Real Estate Partners) and Andy Schwab (First Flight Venture Center). The speakers noted that the Research Triangle area has become a very competitive market. NCBIO thanks Davis Moore Capital, Longfellow Real Estate Partners and Wexford Science & Technology for sponsoring the event. NCBIO was a luncheon sponsor for the SBIR Road Tour Day in North Carolina June 22. Sam Taylor talked with participants about the reinstatement of SBIR Matching Grant funding in the state budget. Attendees hear from a number of federal agencies that provide SBIR/STTR grants. NCBIO member Eva Garland of Eva Garland Consulting was moderator of a panel of SBIR award winners. Nearly 200 legislators, staff and NCBIO members attended the 2018 Legislative Reception June 12th at the NC History Museum. Below are photos of members and legislators. Digital health devices may help treat chronic pain and enable patients to do more self care. The use of devices for data collection generated lot of discussion among participants. Panelists for the event were Erica Jackson, Moderator (K&L Gates), Adam Roth (Galvani Bioelectronics), Mircea Despa (BD Technologies), and Don Turner, Digital Health Impact & Transformation (DHIT). Thanks to EFL Associates, Marsh & McLennan Agency and PwC for sponsoring the event. While touring the Research Campus’ facilities, lawmakers also heard from representatives the UNC-CH Nutrition Research Institute, NCCU Nutrition Research Program, the David H. Murdoch Research Institute, the NC State Food Processing and Innovation Center and a private company at the Campus, Endeve Laboratories.